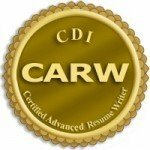 Thank you for selecting to renew and maintain your CARW credential. Download the CEU proof form. The form provides examples of appropriate CEUs. Fill out the form and submit it with your proof documentation.